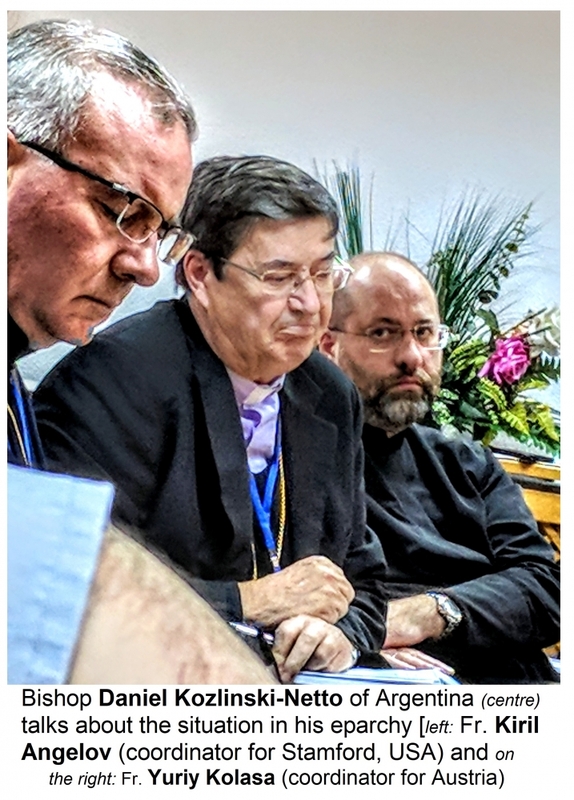 The theme that the Vibrant Parish movement adopted for 2018 takes its lead from the most recent Synod of Bishops of the Ukrainian Catholic Church that dealt with the liturgical life of the Church and the Church's prayer-life in general. The Second day of the coordinators' conference now under way in Madrid, Spain dealt completely with this theme. The day, as every day of the conference, began with the Divine Liturgy at 7:45 AM in the large chapel of the "La Cerca" retreat centre. Fr. 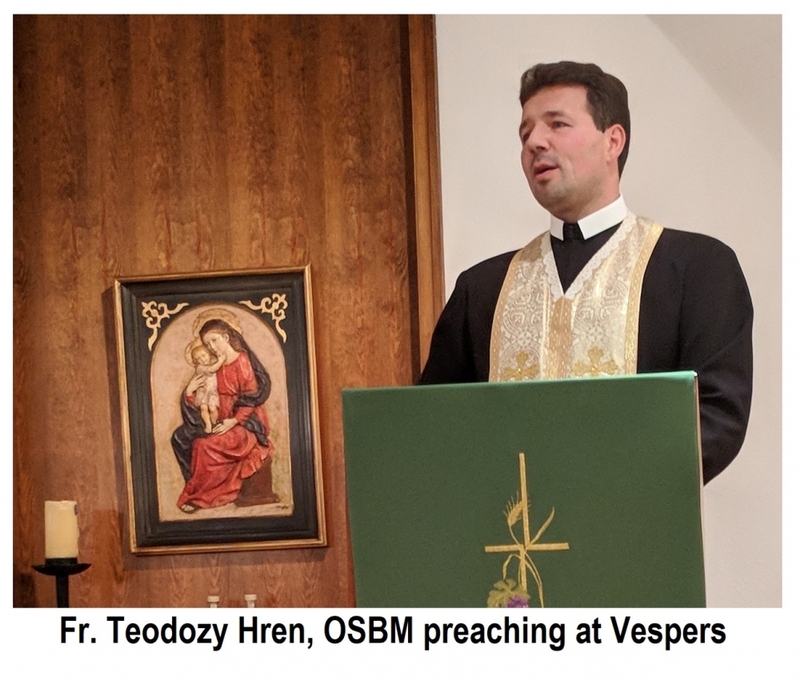 Teodoziy Hren', OSBM, who was chosen as the designated preacher for the whole event, preached a homily to the theme of the Gospel reading of the day. [Fr. Teodoziy preaches twice daily - at the Divine Liturgy and at evening Vespers]. Most Reverend Benedict Aleksiychuk, MSU, the Bishop of Chicago was the main speaker for most of the day. He is the head of the Patriarchal Commission on Liturgy and therefore was the natural choice to speak to the theme of both the Bishops' Synod in September and the 2018 theme for Vibrant Parish - "The liturgical life and prayer life of the Church". His knowledge of the subject matter and his personal love for liturgy and prayer made day pass all too quickly. There was time for discussion following the for major sessions throughout day leading right up to evening vespers. He especially stressed three principal points that he wants the coordinators to take back home to the eparchies that they represent. His hope is that all the eparchies and that each member of the Church would focus on establishing and enhancing: 1. Common Prayer (Спільна Молитва) every evening at 9:00 PM*, 2. Parish Prayer Groups (Молитовні Групи), and 3. Knowledge of the Faith (Знання Віри).